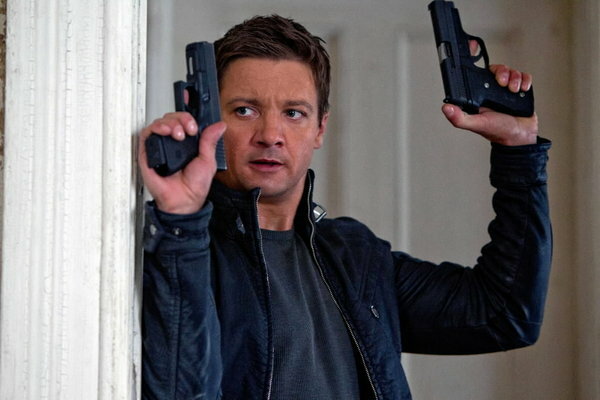 Aaron Cross (Jeremy Renner) is one of the enhanced soldiers that are placed in missions around the world to secure targets, gather intelligence, and just about any other task that would be impossible for anyone else to accomplish. 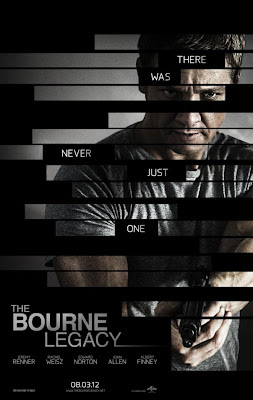 After Jason Bourne (not seen in this film) nearly brought down the whole operation by going after who he thought the was in charge, an order is given to eliminate all assets in order to avoid having the program revealed to the public. After escaping what would have been a snowy and explosive demise, Cross heads to the states to replenish the supply of "chems" that he takes on a daily basis to keep his physical and mental enhancements in place. From here, the story gets really hard to summarize so I'm going to keep the rest real simple. Cross ends up saving and teaming up with Dr. Marta Shearing (Rachel Weisz) who he thinks has access to the chems he needs. Unfortunately she does not, but since she has also been targeted for termination, the two take off across the world to a place where she may be able to solve his problem entirely. 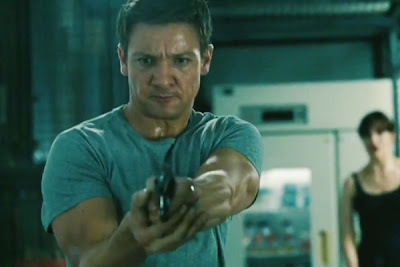 Renner was very convincing as a super soldier thanks to his bulked up physique, intense demeanor, and some pretty cool stunt work. At times, I was waiting for Cross to bust out a bow and some high tech arrows, but since this is not an offshoot of "The Avengers" that moment never did take place. On the positive side of that same topic, having a starring role instead of being in an ensemble gave Renner a lot more time to dive head first in to a very interesting character and pull out a performance that shows off just how good he can be. The point of this movie is to establish a new hero in the Bourne universe as well as kick up the stakes by expanding the government program that is operating everything from about as far behind the scenes as it could possibly be. This is where Edward Norton comes in to the story as Colonel Eric Byer who is in charge of a body that oversees not only the Treadstone program that created Bourne, but several other similar branches as well. He brings a commanding presence to the role that makes you want to stand up and go do something whenever he gives an order to his team or shoots down an objection brought up by someone who doesn't quite understand the amount of power he has. 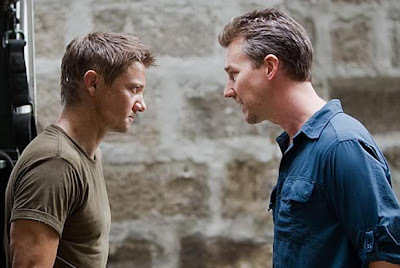 If you can keep up with all the government program code names and top secret agents that are thrown at you, you will enjoy "The Bourne Legacy". I liked how Gilroy packed his movie with a lot of information and didn't feel the need to hand hold the audience through every little detail. This helps to keep the energy level high and maintains the sense of urgency needed for the type of action thriller we expect when the Bourne name is in the title. Renner, Norton, and Weisz were great choices to move the series forward and this movie does a good job at setting everything up for the next installment.